Richard Garriott is $32 million richer thanks to an appeals court victory in his contract dispute with NCsoft. Richard Garriott's stint at NCsoft was not without its bumps. 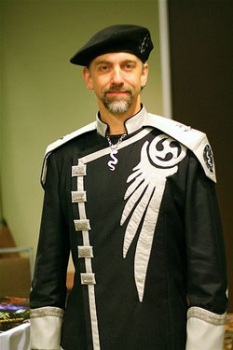 Despite launching to great fanfare in 2007, his Tabula Rasa MMO went nowhere; a year later, Garriott went into space, came back and immediately announced his retirement from NCsoft, shortly after which the hammer fell on Tabula Rasa. It looked like NCsoft had done the famed developer the service of allowing him to move on before killing his pet project; until May 2009, that is, when Garriott sued NCsoft, claiming that he'd actually been forced out. Garriott notched up a "W" against the publisher last June, winning a $28 million award after a federal court ruled that NCsoft had "deprived Garriott of profits on his stock options by mis-categorizing his exit." NCsoft, not surprisingly, appealed the ruling, but it might now be wishing that it had just left well enough alone. A three-judge panel from the 5th Circuit Court of Appeals has upheld the ruling and tacked on interest and attorney's fees that have accumulated during the trial, jacking the original award of $28 million all the way up to $32 million. "NCSoft schemed to avoid its obligations to [Garriott] at the trial court and on appeal, and neither the jury nor the 5th Circuit bought any of it," Garriott's lead counsel Stephen E. Fox said. "Contracts have consequences, and as the Court of Appeals explained, the trial court is not a trial run." Garriott's is currently focusing his talents on Portalarium, a social gaming company that's developed poker and blackjack games for Facebook. He's also selling his house.